Download a Toyota Camry Brochure! The Camry has been around since 1983 so it would make sense that there have been some Toyota Camry mechanical problems over the years. Auto manufacturers do all they can to ensure each car is perfect once it comes of the assembly line, but sometimes recalls and warranty repairs along with other mechanical issues do occur. Is there such a thing as a Monday or Friday car; meaning cars made on these days pale in comparison to those produced on a Wednesday because workers are more enthusiastic on Wednesday? Maybe years ago this was true but with today's computerized technology, the Monday/Friday car example doesn't apply, even with the Toyota Camry. So where do the Toyota Camry mechanical problems evolve from? Mechanical problems come from basically four areas: recalls, technical service bulletins, warranty repairs, and consumer complaints. The Toyota Camry has had its share of recalls over the years, however most were radio or sound system components, floor mats, and lighting problems. Auto manufacturers issue recalls when they find a defect in any component. Recalls are also reported to the National Highway Traffic Safety Administration (NHTSA), but this government organization only gets involved in helping to notify the public if a recall is deemed dangerous to drivers and passengers. If a recall is not dangerous and is something like a floor mat that needs to be replaced, the NHTSA is notified. However, it is up to the manufacturer to notify Toyota Camry owners. This is usually done in a postcard mass-mailing method sent to Toyota Camry owners on file with the manufacturer. 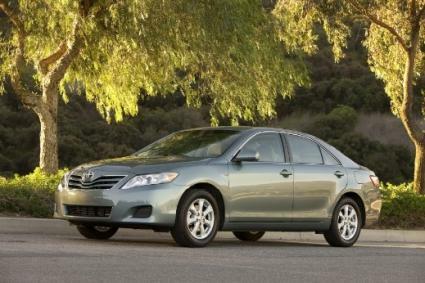 There is no cost to the consumer for recall repairs no matter the age of your Toyota Camry. The manufacturer issues technical service bulletins or TSBs when engineers or parts manufacturers report the same part or component failing time after time. TSBs are sent to Toyota authorized service centers. It's a good idea when you take your Toyota Camry into your repair center to ask them to check for open TSBs. Vehicle owners do not have to pay for technical service bulletin repairs. Warranty repairs are entirely different than recalls or TSBs. Just like that new high-definition television set you bought that came with a warranty, so do vehicles. Vehicle components do fail from time to time and when they do, they are usually covered under the manufacturer's standard or powertrain warranty. The Toyota Camry standard warranty covers all components for three years or 36,000 miles, whichever comes first. The powertrain warranty which covers engine, transmission, and transaxle components as well as front or rear wheel drive systems and airbags is six years or 60,000 miles, whichever comes first. Warranty repairs can be identified by authorized Toyota technicians and completed at no cost to the customer. Since the first car was invented, consumer complaints is the gray area for all vehicles including the Toyota Camry. Because the Toyota Camry has been a top seller for Toyota since its release in 1983 all the way to the 2010 model, the amount of Toyota Camry vehicles on the road today is high. People tend to drive their vehicles longer due to the great performance of computerized systems that keep cars in great shape for longer periods of time. If you have a Toyota Camry that is over six model years old and something fails such as oil leaks, or the ignition starter needs to be replaced, it's likely that these components are merely worn and need repair. One website, My Car Stats offers customer complaints for the Toyota Camry. For example, in model year 2007 alone, My Car Stats listed over 400 customer complaints. Do these complaints mean you need to find out more about Toyota Camry mechanical problems? You can browse My Car Stats to find out how your model year of the Toyota Camry fares, but keep in mind most of these consumer complaints are from owners of an older model year Camry. If you own a Toyota Camry and it is still covered under the manufacturer's warranty, you can feel safe that failed components will be covered at no cost to you. The same is true if you need recall or TSB repairs, no matter what model year you have. Keep in mind that it is important that Toyota knows your current mailing address because that is how they notify Toyota Camry owners of recalls. To ensure your address is correct, visit the Toyota Owner Link and register. Registration is free and if a recall is issued, you can be assured you'll get notified. You can also visit an authorized Toyota repair center and ask them to run a vehicle history report to find out if you have open TSBs or recalls on your Camry.